Recent history in Colombia reads like something out of a dystopian horror novel. A recently released report from Human Rights Watch describes how between 2002 and 2008, the Colombian military kidnapped and murdered “hundreds, possibly thousands of civilians”, typically “rural peasants, drug addicts, the homeless, and petty criminals”, and dressed them up as rebels of the Revolutionary Armed Forces of Colombia (FARC). Union leaders are regularly targeted for assassination, making Colombia consistently top the charts of the most dangerous countries in the world to be a labor organizer. Recently released documents have shown how Chiquita Brands International, a major US banana company, maintained close ties with right-wing death squads who threatened, kidnapped, tortured, and killed labor organizers in the area who spoke out against low wages and poor working conditions. Agricultural industries, like the palm oil sector, appear to have grown in the last decade through a repeated pattern where paramilitary groups forcibly displace peasants from promising agricultural lands and then sell those lands to multinationals. As of 2014, Colombia had at least 5.7 million internally displaced people (~11% of the total population); only Syria had a higher number of displaced people. At first glance, countries that are mired in this sort of chaos and violence can seem like they are separate from “civilization”, and marked by underdevelopment that will eventually and naturally rectify itself as economic growth and exposure to Western standards of governance permeates their societies. But in reality, the relationship between “civilization” and “non-civilization” is arguably non-existent; all too often, the factors behind the degeneration and collapse of Third World societies are intimately linked with global dynamics associated with so-called “civilization”, and the military, political, and economic relationships that cut across and between nations, regions, and spheres of influences. In the case of Colombia, the factors behind the recent waves of violence and repression against the Colombian people are closely linked with US foreign policy. Indeed, perhaps like no other country, the case of Colombia lays bare the visceral violence that defines the core nature of US imperialism, and the way Western interventions preserve repressive and stunted institutions abroad. The present dynamics in Colombia are largely an evolution of conflicts that emerged in the 1950s. 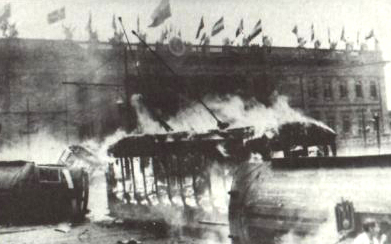 Between 1948 and 1958, the country was engulfed in a brutal civil war, known as La Violencia (“The Violence”), between the Colombian Conservative Party (representing feudal elites like landowners and the Catholic Church) and the Colombian Liberal Party (representing bourgeoisie elites of the commercial sector and the agro-export industry). Over 200,000 people died over the course of the war, and thousands fled to parts of the countryside where the militias of the two parties did not have reach. Out of the exodus, several armed, autonomous peasant communities were formed, a key one being the Marquetalia Republic. The republics had links with the Communist Party of Colombia (PCC), but generally speaking they were largely content to be autonomous from the formal Colombian state and the party politics of the Liberals and Conservatives, and armed themselves primarily for self-defense against the Liberal and Conservative militias and the state-military apparatus. 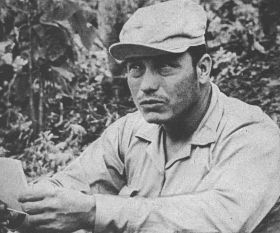 The United States government was keeping an eye on Colombia during this time period, and was alarmed at the emergence of radical peasant movement linked with communist militants. A memo in 1959 by Richard Rubottom, a high-level foreign policy analyst and diplomat, observed that the chaos in Colombia threatened “the establishment of a pro-US, free enterprise democracy”, and advised increasing US military aid to Colombia and strengthening ties between the military establishments of the two countries. This advice was taken to heart by US government, and in October 1959, a US Special Survey Team deployed into Colombia to further study the situation, and recommended—among other things—specialized counter-insurgency brigades, a military intelligence network, and the transformation of the national police to be an institution directly and formally involved in counter-insurgency efforts. (Stokes 2005: 69-70). While the assault devastated the region and cleansed the region of radicals, most of the population was able to escape, and take account of their losses and the failure of the strategy to create purely defensive spaces for popular, autonomous organization. Two years later, in 1966, a conference was held, and it was out of this conference that the Revolutionary Armed Forces of Colombia (FARC) was formally created, whose purpose would be to lead a revolutionary guerrilla struggle against the Colombian government. It would be the beginning of a brutal civil war that has lasted up until this day. Numerous manuals produced by US military institutions for dissemination across the globe to allied governments and security forces on the subject of counter-insurgency and anti-communism openly discuss the use of violence against civilian populations as a viable, effective, and even necessary tactic. This should already be evident from the 1962 report written by General Yarborough, where he discusses the creation of paramilitary units to “execute paramilitary, sabotage and/or terrorist activities against known communist proponents”. Other manuals that discuss this, typically produced by the US Army Special Forces (which often took the lead on training foreign militaries), include Counter-Insurgency Operations (1960), Concepts for US Army Counterinsurgency Activities (1962), and Psychological Operations (1962). In addition, various manuals on interrogation and torture techniques, typically produced by the Central Intelligence Agency (CIA) were also produced during this time period, and discussed how to effectively deploy techniques such as sensory deprivation, electrocution, solitary confinement, and early forms of water-boarding. Manuals that discussed this include KUBARK Counterintelligence Training Manual (1963) and Human Resources Exploitation Training Manual (1983) (Stokes 2005: 59-63). US counter-insurgency strategies were also deeply rooted in the idea that specific sections of civil society were inherently subversive and prone to communist sympathies, and therefore legitimate targets for political suppression and even military operations. These ideas were duly passed on to Latin American governments who were dealing with unruly populations and insurgent activities. 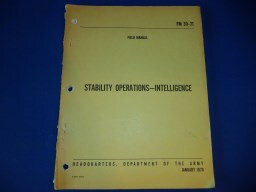 One manual of particular importance was Stability Operations-Intelligence (1970), produced by the US Army. The manual argues that certain segments of civil society, like labor unions, public universities, and peasant associations, are prone to working with communist insurgents and are therefore necessary targets of counter-insurgency operations. The manual also lists out numerous types of activities that are argued to be signs that certain organizations and sectors are being “infiltrated” by communist insurgents; these signs include such activities as “refusal of peasants to pay rent, taxes, or loan payments”, an “increase in the number of entertainers with a political message”, “increased unrest among laborers”, “an increased number of articles or advertisements In newspapers criticizing the government”, and “increase of petitions demanding government redress of grievances”. Indeed, the scope of activities that are argued to be signs of subversive insurgent activity largely encompassed processes that are supposed to be a foundational part of any normal, healthy democracy (Stokes 2005: 64-65). This influx of anti-democratic counter-insurgency strategies would fuse with existing structures and ideologies that legitimized violence against progressive actors in Colombia; this, combined with consistently high levels of US military aid, laid the basis for the escalating spirals of violence that would grip Colombia in the decades to come. While the 1960s and 1970s were marked by plenty of violence, this era would seem quite peaceful compared to the bloodshed that would define the next few decades. In the 1970s, there were 1,053 recorded political killings; in the 1980s, there 12,859 (HRW 1996: 40). This represents an 11,000% increase in the number of political killings—over a time period where the population grew by around 50%—with most of this violence being leveled against left-wing political activists. A key factor behind the dramatic escalation in violence was the beginning of a split between the more powerful conservative sectors of the Colombian bourgeoisie, and the reformers and liberals who were managing to gain control of the state. The liberals and reformers—eager to stabilize the country to better foreign investment prospects and opportunities to expand their own businesses—launched an unprecedented peace process in 1982 with the various communist guerrilla outfits across the country (the biggest being FARC), and passed several democratization reforms in the subsequent years to allow leftist political groups to operate legally and for elections to be held for local municipal offices (Aviles 2006: 42-46). A far-left political party, the Patriotic Union (UP), was established in 1984. Other progressive organizations mobilizing various sectors of the population were also formed, such as the United Confederation of Workers (CUT). The political liberalizations that began in the early ‘80s were severely off-putting to the conservative landed elites of Colombia, and motivated them to start taking matters of defending their economic and political power into their own hands (as opposed to relying on the formal repressive powers of the state). Simultaneously, it was at this time that the infamous drug cartels of Colombia began taking shape and gaining power and wealth, and expanding their networks within the more established sectors of the Colombian elite. It was in this context that paramilitarism emerged. In 1982, a coalition of drug traffickers, ranchers, businessmen, and Texaco officials formed the paramilitary group Death to Kidnappers (MAS)—a reference to communist guerrilla tactic of kidnapping and extorting wealthy individuals, as well as another group of the same name created by Pablo Escobar and the Medellin Cartel—which would act as a private security force for the group’s patrons. Major factions in the military would provide strategic support, which was bolstered by the fact that many of the military officials complicit in the formation and operation of MAS had been trained by the US via institutions like the School of the Americas (Hristov 2009: 65, Stokes 2005: 76-77). While MAS was ostensibly formed as a self-defense group, it quickly became a tool for its elite backers to expand their power and deploy violence against any groups they saw as subversive; peasant leaders, teachers, and union organizers were common targets for kidnapping, assassination, and torture. (Stokes 2005: 76-77). Other paramilitary groups were also developed by specific industries, including banana growers, gold mining corporations, and coal multinationals, to defend and expand their holdings against both armed guerrillas,such as FARC, and unarmed dissidents, such as union organizers and local peasant communities (Aviles 2006: 108-109). Indeed, the existence of an armed communist insurgency in the country made it all the more easier for powerful actors to label unarmed dissidents, activists, and organizers as guerrillas and mark them for extermination—a strategy that was closely connected, and arguably legitimated, by the counter-insurgency strategies by the US Army. The consequences for the organized left were devastating. Within a year of CUT being founded, 230 of its members had been murdered. Between 1985 and 1990, two UP presidential candidates were been assassinated, and 846 party members were murdered. By 1992, somewhere between 3,000 and 4,000 UP members had been killed. Most of this violence was readily traceable to right-wing paramilitary death squads and the military (Rochlin 2010: 721, Pardo 2000: 72, Stokes 2005: 76-77). Consistent through this entire period was US engagement with the anti-communist hardliners of Colombia—and specifically, with the military. In 1984—after investigations by the liberal-minded sections of the government had revealed close connections between the military and right-wing paramilitary death squads—the US sent $50M worth of weapons to the Colombian military. Training also continued, with over 4,800 military personnel going through the School of the Americas between 1984 and 1990 and honing their combat skills and understanding of counter-insurgency strategy. The US military establishment seemed entirely unconcerned with the fact that many of its Colombian allies were implicated in heinous human rights violations; for example, General Ramon Emilia Gil Bermudez, an elite military official who had been exposed as having ties to MAS and its extermination campaigns in 1983, was invited as a guest speaker for the School of the Americas in 1988 (Stokes 2005: 76-77). In the late 1980s, US engagement in Colombia reached new levels, largely fixed around a rhetoric of counter-narcotics. In 1989, the Andean Initiative was announced: a $2.2B, five-year military plan for Colombia, Bolivia, and Peru to fight against drug traffickers. In 1990, the US Southern Command (SOUTHCOM) had declared drugs to be the primary priority for US military efforts in Latin America, while the Colombian president passed the neoliberal economic reforms that were packaged as a requirement for the country to receive its piece of the military aid package (Stokes 2004: 85). At the height of its terror campaign, the Medellin Cartel killed 175 and injured 721 in Bogota between May and December 1989, the most difficult period of the cartel’s offensive. In comparison, between January and November 1989, there were 5,700 presumed political killings in the country, the majority by Colombian military units and paramilitary groups (Aviles 2006: 115-116). This report examines the drug-related activities of Colombia’s two major insurgent groups, the Revolutionary Armed Forces of Colombia and the National Liberation Army. Over the years, reporting has suggested that these groups are involved in a broad range of activities—from extorting payments from drug traffickers to forming the “country’s third drug cartel”. DEA analysis of this reporting, however, leads to three major conclusions. The connection between Colombian insurgents and drugs is formed most commonly through ad hoc “alliances of convenience” with drug trafficking organizations. The independent involvement of insurgents in Colombia’s domestic drug production, transportation, and distribution is limited. DEA has no evidence that these groups have been involved in the transportation, distribution, or marketing of illicit drugs in the United States or Europe. The most important link between the illicit drug trade and the Colombian insurgents is one of accommodation between traffickers and insurgents. DEA believes that the insurgents will never be major players in Colombia’s drug trade. Contradictions in US policy ran even deeper than the level of discourse. For all the vitriol leveled against “narco-guerrillas” and drug cartels, the US government still saw fit to opportunistically side with certain cartels over others. 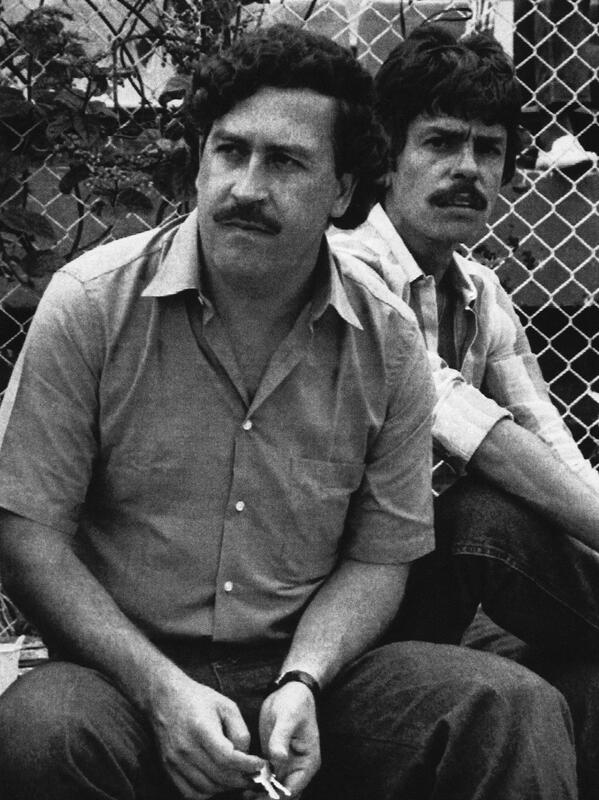 The notable example of this is during the final stages in the war against the Medellin Cartel, in 1992 and 1993, during which US military forces and Colombian security personnel coordinated with the Cali Cartel and paramilitary groupings to find—and eventually kill—Escobar and his accomplices. 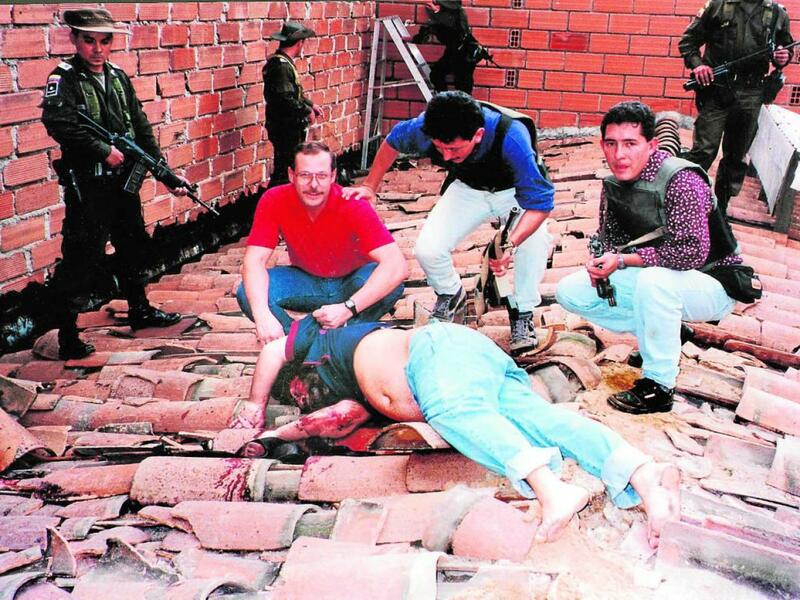 DEA agents and Colombian security forces posing in front of Escobar’s dead body, December 1993. The coordination specifically took place between the Search Bloc, a special Colombian military/police unit created specifically to fight the Medellin Cartel, and Los Pepes, a clandestine vigilante organization made up of paramilitary groups which had switched their allegiances from the Medellin Cartel to rival drug trafficking organizations like the Cali Cartel. Los Pepes helped pass on information to the Search Bloc on the Medellin Cartel, while engaging in its own campaign of terror against Escobar in the form of kidnappings, torture, bombings, and assassinations. The US government was more or less aware of the coordination, with one memo in August 1993 discussing how the joint operations between Search Bloc and Los Pepes against the Medellin Cartel were controlled mostly by the Los Pepes leadership, rather than the police; despite this, direct US engagement with the Search Bloc continued (Aviles 2006: 115). Ultimately, US policy in Colombia in the context of the War on Drugs was not as concerned about fighting drug traffickers and cartels, as it was with re-coating the Cold War anti-communism with new rhetorical paint. For all intents and purposes, US military aid to Colombia through counter-narcotics channels was a continuation (and escalation) of the types of counter-insurgency strategies and ideologies that had been deployed during the ‘60s, ‘70s, and ‘80s—including the targeting of unarmed progressive dissidents as legitimate targets of state repression and violence. A key aspect of this escalation was the reconfiguration of military-paramilitary ties that had emerged in the early ‘80s. Order 200-05/91 was issued by the Colombian Defense Ministry in 1991, laying out a plan for the reorganization and consolidation of military-intelligence networks and the covert formalization of ties between military and paramilitary units. The plan was designed largely based on recommendations by a fourteen-member US consulting team that was composed of officials from the US Department of Defense and the Central Intelligence Agency who had worked with the Colombian military in 1990. The new covert military-intelligence networks were set up in accordance with commands from the highest levels of the Colombian military. Tellingly, there were no references to fighting drug trafficking in Order 200-05/91; the focus was on battling “armed subversion”. But this focus on fighting guerrillas quickly expanded into targeting all “subversive” elements in Colombian society, armed or otherwise (HRW 2006: 41-44). One of the networks that resulted from the reorganization was based in Barrancabermeja and run by the navy. The site of Colombia’s largest oil refinery and a port on the Magdalena River, Barrancabermeja holds strategic importance for both the Colombian military and ELN. Naval intelligence, coordinating with MAS, had been implicated in killings before 1991…but Order 200-05/91 gave new life to what had been since 1989 an illegal partnership. In partnership with MAS, the navy intelligence network set up in Barrancabermeja adopted as its goal not only the elimination of anyone perceived as supporting the guerrillas, but also members of the political opposition, journalists, trade unionists, and human rights workers, particularly if they investigated or criticized their terror tactics. (HRW 1996: 45-46). Within just a couple of years after the reorganization order, the military-paramilitary intelligence network in Barrancabermeja alone would end up being linked with the assassinations of several members of the local oil workers’ union, and over a hundred other community organizers in the area (Aviles 2006: 117). Much of the evidence around the operations came from hit-men and paramilitaries hired by military and intelligence officials who began to second-guess their line of work. One man, for example, turned against his bosses after they ordered him to kill six members of a local fishing cooperative (HRW 1996: 60). Polices like Order 200-05/91, and networks like those between Search Bloc and Los Pepes, contributed to a general deterioration of the Colombian state’s legitimacy throughout the 1990s, and a concurrent escalation of state violence. 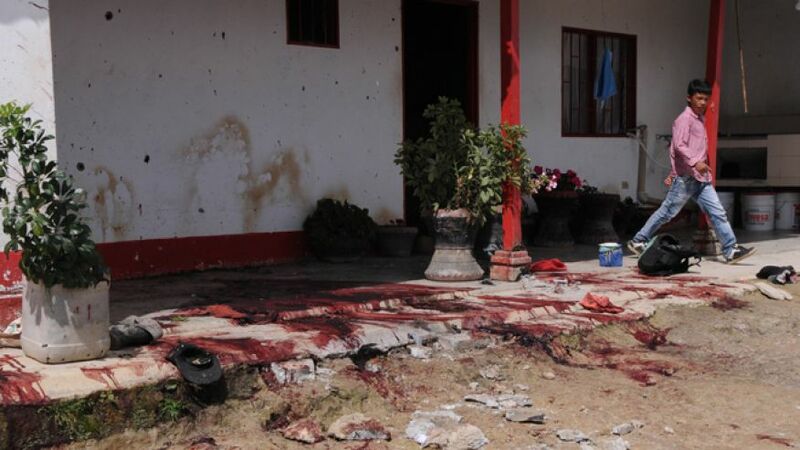 Three to four thousand civilians were killed each year throughout this decade as consequence of paramilitary targeting of leftist political dissidents, in coordination with military (Aviles 2006: 105). But as a result of the military reorganization plan, much of the violence was successfully outsourced to the paramilitaries, thus giving the military plausible deniability for the numerous massacres, kidnappings, etc. that took place during counter-insurgent operations. 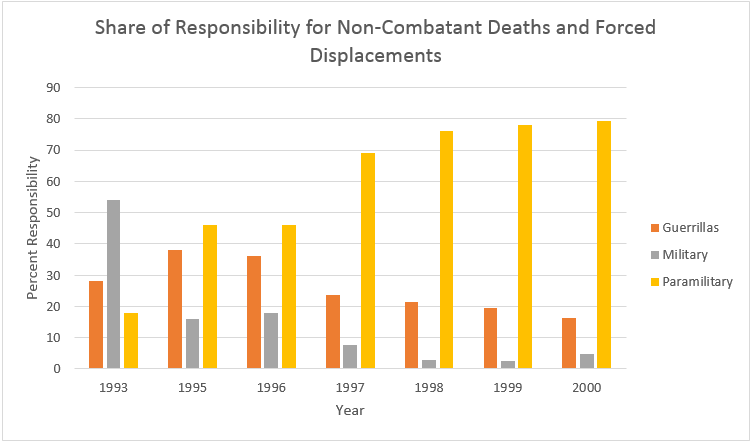 The graph below shows the share of responsibility for non-combatant deaths and forced displacements by the guerrillas, the military, and the paramilitaries throughout the 1990s, with data taken from the Reports of the Colombian Commission of Jurists (Aviles 2006: 111). The economic situation was similarly chaotic and violent, and closely linked with wide-reaching neoliberal reforms passed in 1990. Much of this investment was through oil multinationals. Between 1993 and 1996, oil investments by multinationals doubled to a total of $1.9 billion; and between 1990 and 1999, Colombia saw a total increase in oil production of 78%, and oil exports making up the largest share of export revenues. The rapid increases in capital investment by oil multinationals also affected the security priorities of the Colombian state, in ways that were transparently perverse. In 1991, British Petroleum financed a brand-new military brigade consisting of 5,000 Colombian soldiers to protect its pipelines from guerrilla attack; the brigade subsequently became implicated in human rights violations and paramilitary massacres. Five years later, in 1996, British Petroleum and Occidental signed a 3-year contract worth $60 million with the Colombian government for dedicated military protection of their infrastructure (Aviles 2006: 80). But the best (and probably most absurd) example of the degeneration of state legitimacy during the ‘90s was the revelation in 1995 that the President, Ernesto Samper, had received funding from the Cali Cartel (which had worked with Colombian security forces a few years earlier during the joint campaign against Pablo Escobar and the Medellin Cartel) for his presidential campaign. The fallout from these revelations was so severe that it resulted in one of the few instances where the US government banned the ability of an allied head of state to come to the US. The Colombian parliament would eventually exonerate Samper, but it is worth noting that the parliament at the time was mostly controlled by Samper’s allies, many of whom would themselves eventually come under investigation for having links with drug traffickers (Aviles 2006: 74-75). The scandal around the fact that the highest levels of the Colombian government were complicit in drug trafficking was enough to make specific sectors of the US push through policies that attempted to demobilize US engagement with Colombia. In the wake of the scandal, as well as increasingly obvious evidence that the Colombian military was systemically prone to deploying violence against civilians, the US government “decertified” Colombia—which was supposed to mean that military aid would be cut off. But despite rhetoric, US military aid continued to flow; in 1996 alone, Colombia was supplied with $64 million worth of weapons, in addition to 24 combat helicopters worth well over $200 million. Certain programs were cut off (such as Foreign Military Financing and International Military Education and Training) but others “not only continued to flow but actually made up for the shortfall: (Stokes 2005: 89). Given the various happenings with the Colombian state and the Colombian economy during the 1990s, it should be no surprise that armed revolutionary groups made huge gains. 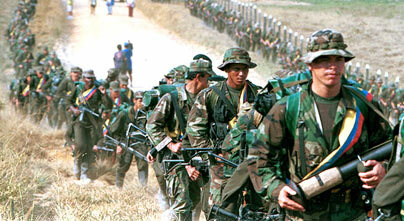 Between the mid-‘80s and the late ‘90s, FARC had doubled its numbers to around 17,000 soldiers fighting on 60 fronts; they had a presence in around 70% of the country, controlled a base area the size of Switzerland, and had an estimated annual income of $600 million (much of which was drawn from their ability to tax the local cocaine economy) (Rochlin 2011: 722; Pardo 2000: 70). Despite the escalating violence by the military and its paramilitary allies, the Colombian government was being consistently humiliated by FARC in direct military encounters and rapidly losing ground; US analysts noting that half of Colombian territory was no longer in government control by 1997 (Stokes 2005: 91). It was in this context that US military engagement in Colombia escalated once again—but unlike previous instances of escalation, this time US intervention would play a far more direct role in coordinating the war against the communists. In 1999, Plan Colombia was unveiled. It was primarily a military aid package, amounting to somewhere between $6 billion and $9 billion over the course of the next decade or so, depending on which source you are looking at, and whether they include other, smaller packages like the Andean Regional Initiative. The cornerstone of the plan was to infuse the Colombian military with state-of-the-art technologies, integrate their counter-insurgency operations with transnational logistical and communication expertise, and provide massive amounts of auxiliary support from US military forces. US military intervention in Colombia was largely justified by US planners as a necessary escalation for the security of favorable economic conditions in the region. In justifying this shift in U.S. policy U.S. Ambassador to Colombia Anne Patterson argued that the pipeline plan was “something we have to do….It is important for the future of our country, for our petroleum supplies and for the confidence of our investors”. Marc Grossman, U.S. undersecretary of state for political affairs, stated in 2002 that Colombian insurgents “represent a danger to the $4.3 billion in direct U.S. investment in Colombia. They regularly attack U.S. interests, including the railway used by Drummon Coal Mining facility and Occidental Petroleum’s state in the Cano Limon pipeline”. Finally, the year that the U.S. contribution to Plan Colombia was signed into law General Peter Pace, the commander of the U.S. Southern Command argued that U.S. military intervention was important for the “continued stability required for access to markets in the U.S. Southern Command area of responsibility, which is critical to the continued economic expansion and prosperity of the United States (Aviles 2006: 132). One of the noteworthy aspects of Plan Colombia was the fact that much of it was carried out via private military contractors. Indeed, the contents of the military aid package itself seems to have been created in conjunction with the advice of private corporations like Military Professional Resources Incorporation (MPRI), which was awarded a $4.3 million contract in 1999 to advise the US government on how the Colombian military should be restructured, and then a $6 million contract in 2000 to directly train and advise the Colombian military (Rochlin 2011: 726). By 2003, there were at least 16 US-based defense corporations representing some 170,000 employees operating in Colombia, providing key military services ranging from supplying attack helicopters, running radar and satellite surveillance networks, and piloting fumigation aircraft as part of a coca eradication effort (Rochlin 2011: 727). According to the Center for Public Integrity in Washington, the company contributed $1.5 million to presidential and Congressional campaigns between 1995 and 2000. Occidental also spent nearly $8.7 million lobbying American officials on Latin America policy, largely regarding Colombia, from 1996 to 2000, according to disclosure forms filed with Congress. Other oil and energy companies also spent handsomely to influence Colombia policy, with Exxon Mobil Corporation, BP Amoco, the Unocal Corporation, Texaco and Phillips Petroleum spending about $13 million among them on Colombia in the same period. Another key aspect of Plan Colombia was the deployment of surveillance technologies. These technologies played a decisive role in enabling the Colombian military to deal with FARC and other guerrilla groups’ asymmetric style of warfare. The US and its corporations integrated the Colombian military with real-time satellite surveillance systems, communications monitoring equipment, and radar installations—all of which severely disrupted guerrilla ability to move about the countryside and organize openly, even in areas where the government could not immediately strike (Rochlin 2011: 729-731). High-tech surveillance was also coupled with smart-bomb technologies in a clandestine CIA and NSA program that only recently came to light, where satellite surveillance and 24/7 communications monitoring were used to locate, track, and assassinate communist guerrilla leaders—all of this is described in detail in the 2013 Washington Post article on covert operations in Colombia. Surveillance, however, was not restricted to use against armed guerrillas. The Department of Administrative Security (DAS), an elite intelligence organization that answered directly to the office of the presidency and which routinely organized operations in conjunction with various US agencies, was implicated in a 2009 scandal of deploying surveillance against human rights activists, members of the judiciary, union organizers, and political opponents–as well as using this surveillance to pass on “hit-lists” to paramilitaries to mark certain individuals for assassination. The organization was finally dissolved in 2011, after numerous high-ranking officials were arrested and convicted of crimes relating to a campaign to disrupt ongoing investigations around links between members of Congress, right-wing death squads, and narco-traffickers. DAS operations against Colombian civil society was heavily influenced by US military aid. As observed in a feature story on the matter by The Washington Post, many of the convicted DAS officials had received CIA training, and the organization in general had received millions of dollars through Plan Colombia in the form of high-tech equipment, training programs, and straight-up cash; several individual units who were implicated in the scandals appeared to be entirely dependent on US aid and support, and regularly communicated with embassy officials. The targeting of civil society groups by DAS was not a one-off aberration, but rather a deeper pattern rooted in the Colombian security apparatus that was more than willing to deploy indiscriminate violence. The most egregious example of this is probably the practice of “false positives”, where the military would lure or kidnap civilians, kill them, plant guns or uniforms on them, and declare them as guerrillas who were killed in battle; during the high point of this practice, between 2002 and 2008, thousands of civilians–mostly poor workers, drug addicts, and petty criminals–were kidnapped and killed. A recent 95-page report by Human Rights Watch brings forward evidence that this practice was systemic, and known to numerous high-ranking officials who either knew of or encouraged the killings. As stated in the first paragraph of the report, the killings “constitute one of the worst episodes of mass atrocity in the Western Hemisphere in recent decades”. Based on data on 5,763 reported executions in Colombia and extensive documentation of U.S.assistance to the Colombian military, we found a positive correlation between the units and officers that received U.S. assistance and training, and the commission of extrajudicial killings. A statistical analysis of 1,821 of these executions where responsible units were directly identified showed that Army brigades that received a moderate as compared to low level of U.S. assistance correlated to ten more executions per brigade in the two years following assistance. While the analysis does not show that U.S.aid specifically caused or encouraged executions, it casts strong doubt on claims that U.S. assistance improved human rights performance. Of the 25 Colombian WHINSEC instructors and graduates of the Command and General Staff course from 2001 to 2003 for which any subsequent information was available, 12 of them — 48% — had either been charged with a serious crime or commanded units whose members had reportedly committed multiple extrajudicial killings. A random sample of 25 Colombian officers from approximately the same period showed a better human rights record than the WHINSEC cohort: we identified four (16%) who subsequently led units with multiple extrajudicial executions under their command. Another three officers led units with one execution under their command. While cynical extermination policies and the incorporation of private military contractors, high technology, and surveillance systems were key characteristics of Plan Colombia, it would be the escalation of paramilitary violence that would arguably have the biggest ramifications on Colombian society. Plan Colombia was crafted in Washington D.C. in such a way as to avoid triggering the human rights laws and conditions that had been passed in the previous years to prevent the US government from being embroiled in violent and repressive practices abroad; and as such, the fact that connections between the Colombian military, paramilitary groupings, and narco-traffickers were widely reported on and did not present any significant technical hurdles to maintaining and enhancing the dirty-war tactics that had defined previous stages in US-Colombian counter-insurgency strategies (Stokes 2005: 97-99, Aviles 2006: 130). This enhancement does not seem to have been the result of explicit policy, but rather was simply a result of the Colombian military’s existing strategies and networks being super-charged with the billions of dollars in weapons, supplies, training regimens, etc. that were part of Plan Colombia. Regardless, US military aid was heavily implicated in the repressive abilities of the brutal paramilitary groups that were most closely linked with the Colombian state. Recently published research has quantified the causal relationship between the billions of dollars in US military aid that has flowed into Colombia, and the power of the paramilitaries. A research paper published in The Journal of Politics in January 2015, titled “Bases, Bullets, and Ballots: The Effect of US Military Aid on Political Conflict in Colombia”, analyzed whether US military aid between 1988 and 2005 to specific Colombian military bases had any effect on paramilitary violence in the surrounding regions. This method of analysis was possible because aid is typically allocated for a specific base, and thus one can disaggregate aid packages and identify the specific local impacts of military aid. The researchers found that US military aid did, in fact, have a substantial relationship with escalating paramilitary violence, in a manner that confirms reportage on how the Colombian military engages in “resource-sharing” with paramilitary outfits; it was found that a 1% increase in US military aid resulted in 1-3% increase in paramilitary violence. Furthermore, the numbers also demonstrate that US military aid lead to dramatic increases in political assassinations by paramilitary groups during election years (Dube and Naidu 2015: 253, 257-261, 264). In addition to having strong ties with Colombia’s police and military institutions, the paramilitary groups also had strong ties with the nation’s political establishment—ties that seemed to have peaked during the high points of Plan Colombia, in the early 2000s. The full depth of this nexus between the state and the paramilitaries began coming to light in early 2007, when the “para-politics” scandal revealed that dozens of powerful politicians and political leaders had been allied with paramilitaries. Investigations launched in the wake of the initial confessions from paramilitary commanders would reveal that some 77% of the 2002-2006 Congress had links with paramilitary groups; as of 2014, 55 senators and 9 governors have been found guilty of being allied with the death squads, with 100 cases still in process. The alliances were especially pronounced at the municipal level; for example, in 2003, mayors in 6 cities across Casanare signed a pact where 50% of their municipal budgets would be handed over to the local paramilitary leader (Hristov 2014: 102-104). The overlap between right-wing death squads and key government institutions underpins the failure of the demobilization process that began in 2003, that was supposed to end the power and dominance of the paramilitaries once and for all. Unsurprisingly, the process turned out to have been marked by fraud and impunity, with pardoned fighters returning to fight for new groups, jailed leaders continuing to coordinate criminal and repressive activities from behind bars, links between politicians, security forces, and paramilitary groupings being maintained, and land forcibly expropriated from peasants continuing to be under the control of paramilitaries (Hristov 2014: 112-113, 119-121, 126). A 122-page Human Rights Watch report, released in 2010 and based on two years of field research, notes that the post-demobilization paramilitary groups have continued to terrorize Colombian civil society sectors such as unions, human rights workers, and community organizers, have continued to maintain ties and cooperative relationships with security forces, and have played a key role in the escalation of murders and internal displacement in Colombia between 2004 and 2007. Today, violence in Colombia is still at endemic levels, despite a thawing of the civil war. As noted in the introduction, internal displacement today is approaching 6 million people—second only to Syria—and dissidents are still regularly targeted for assassination by the country’s elites. For some sectors of the economy, such as the palm oil industry, economic expansion seems to be directly driven by the violent displacement of peasants and the transfer of land from the hands of poor agricultural communities to powerful multinationals. A peace deal is currently on verge of being finalized between the Colombian government and FARC. But as two Colombian professors point out in a recent article in Jacobin Magazine, the peace deal will not address the fundamental issues behind the insurgency, and might even accelerate the sundering of Colombia’s social fabric. From the early 1900s to the late 1980s Colombia witnessed the height of rural and urban workers’ struggles. These mobilizations were aimed at politico-economic transformations, such as land reform, the right to strike, the right to unionize, improved working conditions and better pay. However, in the period 1990-2010…it is possible to observe a lack of advancement with regard to their objectives and accomplishments manifested in the gradual shift in their demands from wealth redistribution to respect for human rights….The vision of politico-economic transformation, or at least reform, became lost or obscured by the more immediate need to protect life. Movements that were previously formed to accomplish improvements in human well-being, such as the labor or women’s movements, were now being so frequently attacked and partially exterminated that their activism became overwhelmingly focused on denouncing the deaths and abuses against their members instead of advancing any other cause (Hristov 2014: 106). And to emphasize one of the running themes throughout this essay, the offensive against progressive movements in Colombia was not simply a matter of a rogue state deploying authoritarian measures, but was formed as a matter of policy created and deployed in conjunction with the government of the United States and various associated corporations, and the wider global political economy. Throughout the entirety of the modern era, from the 1960s into the late 2000s, US political, economic, and military institutions have worked with Colombian elites to unleash violence against those who would challenge the status quo, and in ways that undermined any real potential for democracy and the progress of general human welfare. The fact that the US government, and Western corporations, can play such a decisive role in conflicts abroad should indicate that in today’s world of globalized capitalism, where borders and are increasingly transparent and permeable, progress–whether through reform, or revolution–must take on a similar transnational character. It is not enough to simply be in theoretical solidarity–solidarity must take on a concrete, strategic form, with organizations and movements in the North coordinating and communicating with those in the South. Progressive change in Colombia (let alone radical or revolutionary change) will require progressive change in the United States–and this will only come about when popular consciousness understands that the violence, repression, and bloodshed that seems to mark the peripheries of global society is, in fact, the inevitable consequence of the way global capitalism and the US-dominated global order operates. Aviles, William. Global Capitalism, Democracy, and Civil-Military Relations in Colombia. State University of New York Press. 2006. Dube, Oeindrila and Naidu, Suresh. Bases, Bullets, and Ballots: The Effect of US Military Aid on Political Conflict in Colombia. The Journal of Politics, Vol. 77, No. 1. January 2015. Pages 249-267. Hristov, Jasmin. Blood and Capital: The Paramilitarization of Colombia. Ohio University Press. 2009. Hristov, Jasmin. Paramilitarism and Neoliberalism: Violent Systems of Capital Accumulation in Colombia and Beyond. Pluto Press. 2014. Human Rights Watch. Colombia’s Killer Networks: The Military-Paramilitary Partnership and the United States. 1996. Rochlin, Jim. 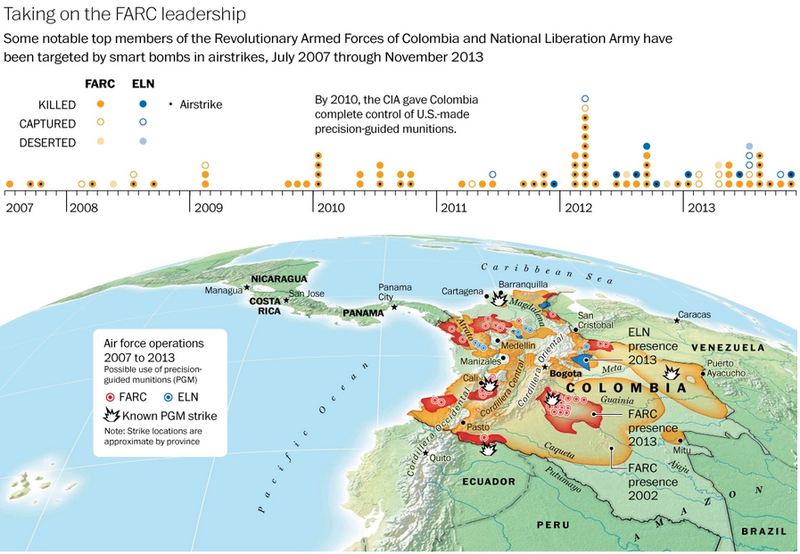 Plan Colombia and the revolution in military affairs: the demise of the FARC. Review of International Studies, Vol. 37, Issue 2. 2010. Pages 715-740. Stokes, Doug. America’s Other War: Terrorizing Colombia. Zed Books. 2005. Yarborough, William. Subject: Visit to Colombia, South America, by a Team from Special Warfare Center, Fort Bragg. Supplement, Colombian Survey Report. Headquarters United States Army Special Warfare Center. February 26, 1962. This entry was posted in History, Political Economy and tagged capitalism, colombia, communism, counter-insurgency, foreign poicy, history, imperialism, insurgency, militarism, paramilitarism, socialism, United States, violence. Bookmark the permalink.